Continuing our quick catch-up with some of the judges for the 2013 RAD Awards, here we sit down with Tsz Wu from Pink Squid, winner of previous RAD Awards and a member of this year’s panel. 1. What are the judges looking for in a winning entry? After passing the “good” benchmark with cost-per-hire statistics or reduced attrition percentages and proof of sound return on investment, great entries should demonstrate effectiveness of: knowing their target audience; driving the message; use of delivery channels; and rigorous creation and execution. Basically, the impact. 2. What do you think is the most exciting recent development in recruitment? For the client: more agency partners to choose from (like us! ), that are more specialised, with increasingly agile and freshly inspired approaches. This is also reflected in the more flexible approach to procurement – clients are less tied down to cumbersome contracts working to project- or category-based partnerships. From the agency side: the old guard are stepping up to meet their new competition. This generates new expectations, which, in turn, raise standards, value and innovation. From the candidate side: new agencies, innovations, approaches, platforms – in theory, all of these heightened levels of activity are now battling for that elusive candidate or talented employee. Be assured that they will be enticed, found and kept, wherever they are. Technologies: recruitment doesn’t have any sway in new technology, but there’s more of it and more agencies are confident and skilful enough to take advantage of it for recruitment re-purposing. 3. The social media category is growing each year. What makes a social media campaign stand out for you? It is growing, but how is it used? Technically, a stand-out social media recruitment campaign shouldn’t feel like a recruitment campaign – or even a campaign; that’s the genius of it! Even more focus needs to be placed on a watertight employer brand, to bring out your personality. It will be interesting to see the entries this year. 4. 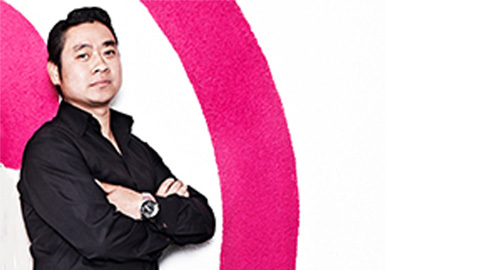 What is Pink Squid doing at the moment to help its clients recruit the very best talent? For YO! Sushi, we are developing a piece of in-restaurant gamification with Xbox Kinect gesture movements. For our new clients Telefonica Digital, we are reinventing their recruitment website (a big claim!). For HCA international, we have just launched and are deploying a total new employer brand to cover eight prestigious private hospitals. And, for Nando’s, we are developing animated video stings to tell mini-stories. 5. As a previous winner yourself, why do you think it is important to win a RAD Award? Awards ceremonies come and go but the RADs have managed to retain their status and enthusiasm over so many years. Egotistically, it’s great to show off in front of 1,000 people in central London with your winning client. However, speaking as a small agency owner, it’s a mega shop window for gaining new business without having to make a single cold call. For more information or to enter the 2013 RAD Awards, visit the RADs website.